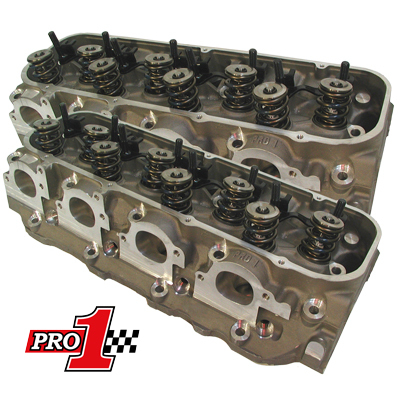 We Start Every Custom Build Of Our Cylinder Heads With Brand New Dart Castings And Specifically Selected Components - These Heads Are Never "Factory Assembled"! Dart applied the same airflow technology developed in their championship-winning Pro Stock engine program to produce these state-of-the-art heads. Every intake port, every exhaust runner, every valve bowl, and every combustion chamber is 100% CNC machined on special dedicated PRO 1 castings. Available in 335 or 355cc versions. 2.000" x 1.740" Raised .300"